I'm thinking the controls are a little on the clunky side. I'm wondering it it's just a byproduct of the emulation, so I may break out my Genesis and the original cartridge to see if its the same on the "real thing". It would be great if someone here with a solid, always-on connection to the net would host an Emulinker Kaillera server for Racketboy members. That way when we have Together Retro games we could play them together. marurun wrote: It would be great if someone here with a solid, always-on connection to the net would host an Emulinker Kaillera server for Racketboy members. That way when we have Together Retro games we could play them together. What technical requirements are needed for that? Is there something I could host on my server? I don't know more details than what's there. I know that Kaillera can be buggy but if they are trying to iron out bugs on the server-side what they have might be reliable. They insist their server component works with any kaillera client-enabled emulator. I have a suggestion for how to add an RPG to the "Together Retro" schedule on a more regular basis as I see some people asking for more of them. I know many people do not like RPG's so that is where my suggestion comes in. How about continuing doing shorter games such as Marble Madness and RC Pro Am on a regualr basis but also having an RPG going on over a much longer period, say a month and a half to two months. The reason I say this is because I do not see another RPG on the schedule for the next 6 months. I have to tell you that Marble Madness's excitement lasted for a few days before it became a bit old. I could see the Pro Am game doing the same thing. There is only so much you can say about a puzzle game and a racing game. I don't think two games would be to difficult for anybody and would actually please a lot of people. The people who don't like RPG's could skip it but not feel left out because there is the other game as well. Bastion wrote: I have a suggestion for how to add an RPG to the "Together Retro" schedule on a more regular basis as I see some people asking for more of them. I see no problem with having 2 games to play: one being longer (RPG/RTS) and the other being a game that can be played in short bursts (arcade/console). I do feel that the upcoming Jet Grind Radio fits both categories though. It is inherently longer because of the storyline. One other challenge to consider is that in that situation, we will need another volunteer at least to help write up posts for the Together Retro games. Fastbilly1 and Marurun have been kind enough to help with most of them so far, but the three of us only have so much time to write, so somebody else would need to pitch in. Racketboy- Can you give me a link to an example of what would need to be written. Oh, and one other reason why two games would be better. 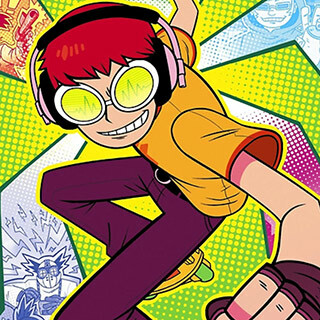 For example, I do not have Jet Grind Radio so therefore would not be able to participate in it's discussion. Having two games going(one short and one longer) would double the chances of people being able to participate. Last edited by Bastion on Sat Jul 12, 2008 9:37 am, edited 1 time in total. I do have one request if this does happen. Lets save Earthbound for later in the year, I really want to replay it and do not have free time until then - yall playing it when I cant will drive me barney. Bastion wrote: Racketboy- Can you give me a link to an example of what would need to be written. Basically, we just need a nice introduction to the game and maybe some history for those that aren't familiar with it. Then list the different ports of the game, if any, and which ones may be best. Emulation options are also appreciated. And finally, if there is anything special about the gameplay mechanics or if you have links to strategy guides, etc, those are good for the bottom part. If you have more questions, lemme know.